Robin Rowland is a professional independent visual journalist, writer and author, based in his home town, Kitimat, British Columbia. Canada. 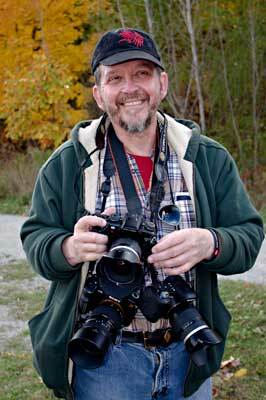 His work includes photojournalism, portraiture, nature, bird and wilderness photography. Since returning to Kitimat, Robin has photographed news stories in the region for Canadian Press, Reuters, The Globe and Mail and The Toronto Star. He has shot video for GlobalBC News and reported online, on radio and television for CBC News. In March 2010, he took early retirement from his job as the Photo Editor for the Canadian Broadcasting Corporation’s online and television news services and returned to Kitimat. Robin first shot a frame of film when he got a used Kodak 620 film camera from a family friend for his ninth birthday. Eight years later, another birthday brought his first Single Lens Reflex camera and he took it on a trip to Expo 67 in Montreal. He was a photographer as a student at York University on the staff of the student newspaper Excalibur. As a student in the grad program at Carleton University, Robin was lucky enough take Ted Grant’s photo journalism class which produced many of the best of his generation. For a year, Robin was a reporter-photographer for The Sudbury Star. After a period of travel in Europe, he got a job with CBC News. There was more travel, and in London he began working in the earliest form of new media, videotex. Back in Canada he worked for the CBC’s teletext project, then took some time to write a book, worked for CTV National News and returned to the CBC in 1994 working as a lineup editor. All this time he continued to hone his photographic skills, concentrating mainly on natural landscapes. In 1996, he joined the start up Newsworld Online and began to take occasional news photos for the website. In 1998, he became the first web producer for The National and in 2003 was named Photo Editor for CBC News. Robin Rowland is also the author of five books, including the first book on how to do research on the Internet and three historical investigative books on organized crime and war crimes. From his base in Kitimat, Robin edits two sites, Northwest Coast Energy News and Tao of News.